Drifting the Blow-Out Preventers (BOP) saves Contractors, Oil Companies and OEMs money. 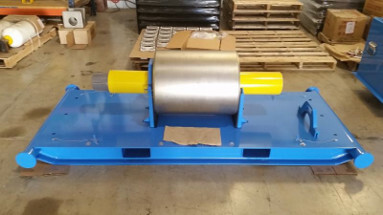 Our BOP Drifts are customized for our customers specific needs! Subsea Drift configurations allow for quick and safe drifting of BOPs. They are designed to meet API 16A standards with several different connection options. Our Drifts are built around a perfectly concentric mandrel and have the ability to transfer mass load to the solid straight bar center shafts and lifting eyes. (*Many companies are using API 16A Drifts to satisfy API 53 requirements, as a worst-case safe guard). Subsea is dedicated to creating the standard with our innovative solutions and feel that our designs are a major contribution to the industry. Our BOP Drifts provide ‘True Precision’ performance when you need it the most. 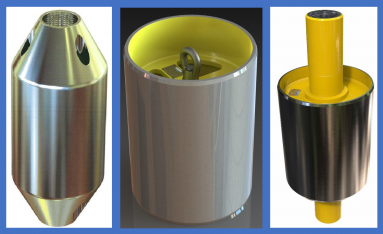 The precisely machined components are assembled and welded to create a rugged one-piece drift built to withstand years of service in the offshore environment. Download our Product Overview Brochure for more information about all of our Subsea products or contact us today.